Big Thought’s innovative approach to tackling the opportunity gap is working in Dallas, Texas, and inspiring similar initiatives across the country. The results are clear: under-resourced students do better when their learning is personalized and supplemented with quality, imagination-based programming. Big Thought programs are designed to spark the imagination, cultivate socio-emotional skills and/or increase academic performance. Academic Impact: Many students participating in Big Thought programs increased their writing abilities, performed better on state mandated tests and started school with a meaningful advantage in math. Instructional Impact: 71% of instructional observations in 2014-2015 were ranked proficient of arvanced, a 20% increase from 2013-2014. Big Thought’s “Center of Excellence” is a dedicated team devoted to evaluating and improving our programs. 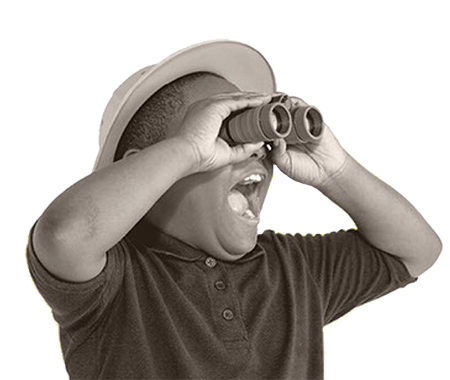 Since 2006, Big Thought’s research and evaluation work has included a national research study among summer learning programs in urban school districts, several local research studies on Big Thought programs and two major publications on collective impact initiatives. Learn more. Big Thought has been recognized with several distinctive honors including being named with the Coming Up Taller Award from the President’s Committee on the Arts and Humanities and Texas Cultural Trust Award for Arts Education. Learn more.